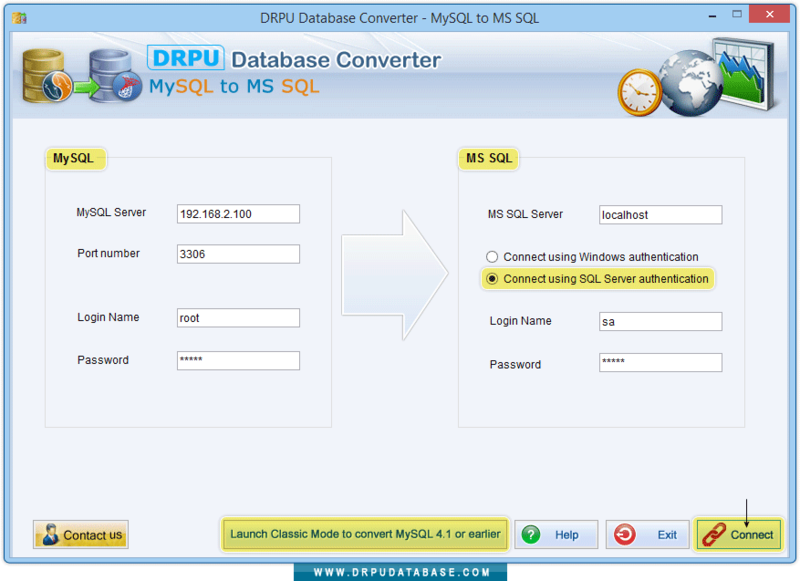 Enter login details to establish connection between MySQL and MS SQL Server. 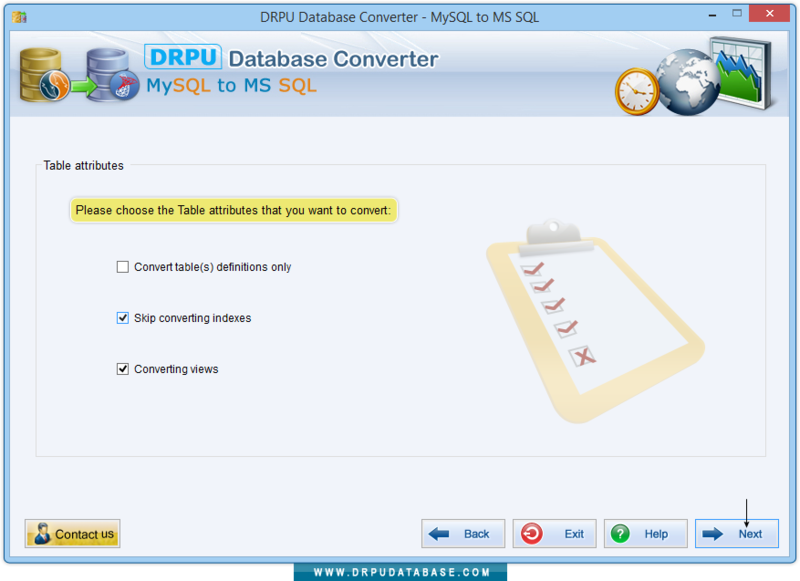 Choose MySQL table attributes such as converting views, skip converting indexes, convert table(s) definitions only that you want to convert into MS SQL database. 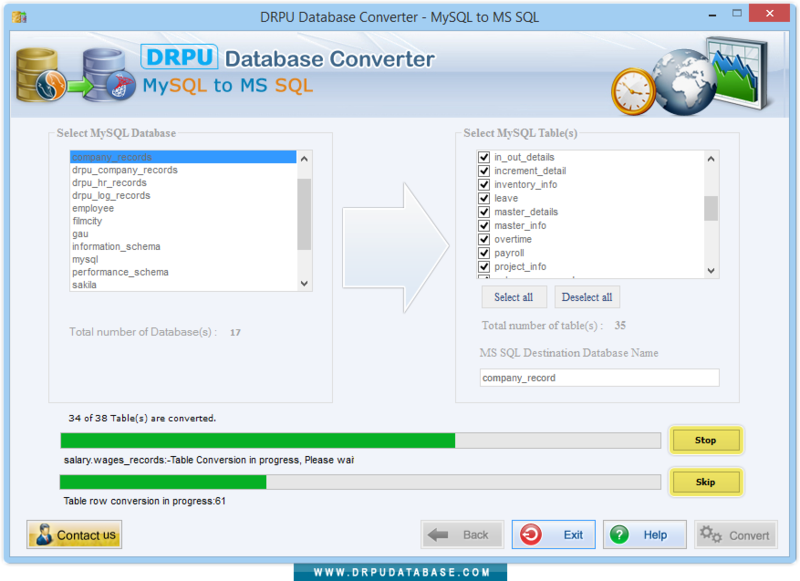 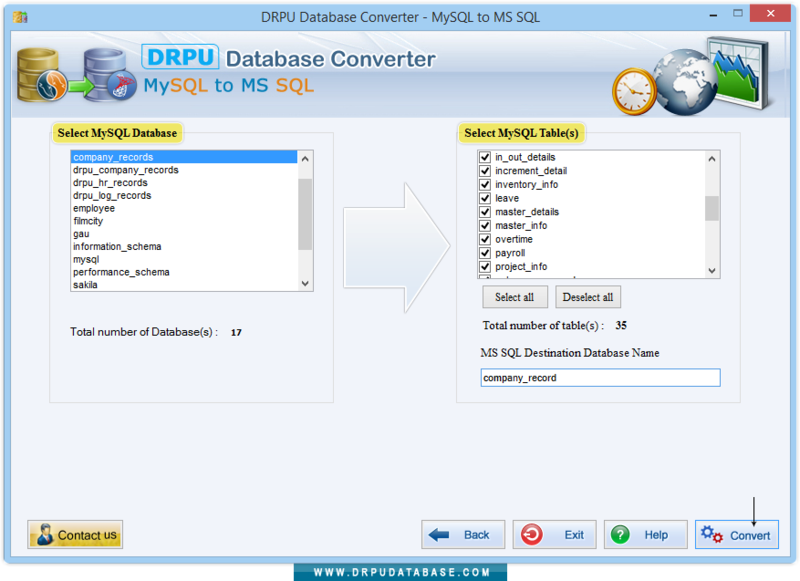 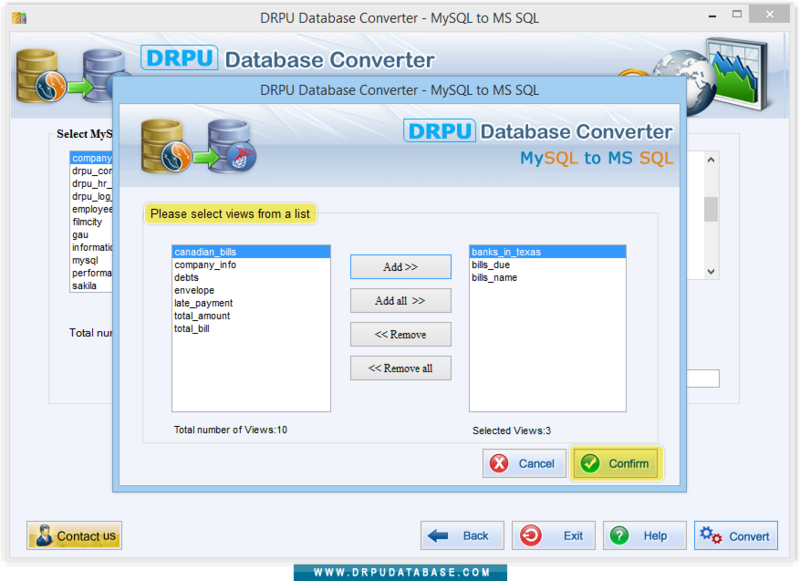 Select MySQL database with MySQL table(s) to convert into MS SQL. 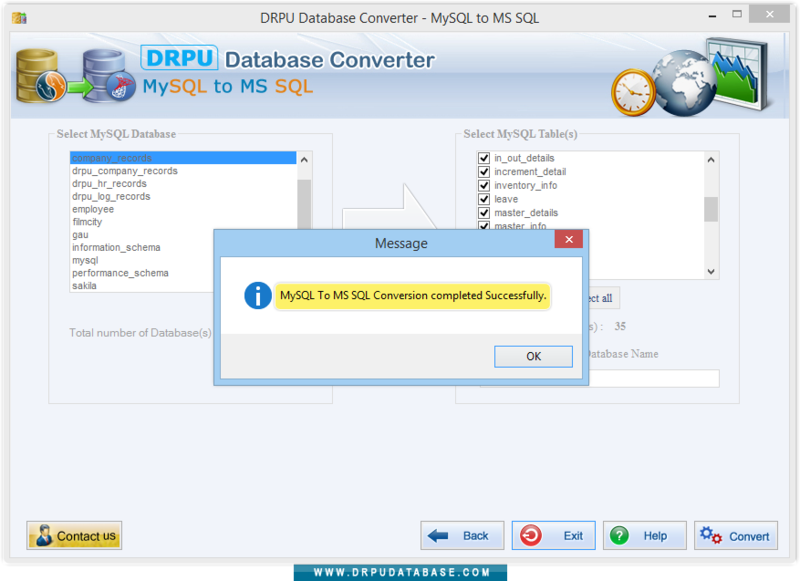 Here, you can see database conversion completed successfully.